White Fibber Campaign conscripts pledge never to commit, support or fail to speak up against violence towards women. So why aren’t we hearing them challenge the children and other critics of this woman who are subjecting her to the most serious verbal abuse? Anyone expecting a sweet remembrance of the life and times of a US woman was in for a surprise if they opened the obituary pages this week in the local newspaper. “On behalf of her children who she abrasively exposed to her evil and violent life, we celebrate her passing from this earth and hope she lives in the after-life reliving each gesture of violence, cruelty and shame that she delivered on her children,” the scathing obituary begins. Now circling the globe on the internet, the obit was written by Marianne Theresa Johnson-Reddick’s adult children, whose horror stories prompted Nevada to become one of the first states to allow children to sever parental ties back in the 1980s. Johnson-Reddick died at a Reno nursing home August 30 at the age of 79, according to her daughter, Katherine Reddick, 58, now a psychology consultant for a school district outside Austin, Texas. Katherine Reddick said she decided to share the story of their painful physical and mental abuse after consulting with her brother, Patrick Reddick, 58, who lives in Minden south of Carson City. They said they grew up with four siblings in a Carson City orphanage after they were removed from their mother’s home and had been estranged from her for more than 30 years. Six of Johnson-Reddick’s eight children were admitted to the Nevada Children’s Home from 1963 to 1964 after they endured regular beatings, sometimes with a metal-tipped belt, and other abuse at the hands of their mother, Patrick Reddick said. He said he’s had phone calls from “all over the world” about the obituary. He said they wanted to “shame her a little bit” but that the “main purpose for putting it in there was to bring awareness to child abuse … shame child abuse overall”. “People doing that right now, they can read that obit and think,” said Patrick Reddick, who last saw his mother more than three decades ago. Reddick and his sister, now 57, testified before the 1987 Legislature on bills to make courts give equal consideration to the best interest of a child when terminating parental rights. Former state Sen. Sue Wagner, who authored the legislation that ultimately was signed into law, remembers meeting with them at the time. She told KOLO-TV in Reno that it was one of the reasons Nevada became one of few states to address the issue at the time. “I’m very happy that they now are free of their mother,” Wagner said. The obituary was printed in Tuesday’s editions of the Reno Gazette-Journal and appeared on RGJ.com after it was submitted through a self-service online portal. John Maher, president and publisher of the newspaper, said in a “note to readers” that the paper had “removed the online listing of this obituary as we continue our review of the circumstances surrounding its placement”. Little else is known about the woman. The Reno newspaper reported that she lived in a mobile home with 15 cats up until she was hospitalised in May for treatment of bladder cancer. 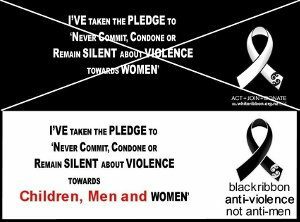 Vera, ok, so violence against women IS ok when the woman is an inconvenience to the ‘woman good, men bad’ philosophy underlying the White Ribbon Campaign? And/or violence towards dead women is ok? But such exceptions surely discredit the integrity of the pledge made by White Ribbon supporters? So all the White Fibbers who have remained silent about the verbal violence towards Ms Johnson-Reddick, rest her soul, have broken their pledge. Similarly, every White Fibbin’ supporter who remains silent when any female offender is subjected to the violence of handcuffing and imprisonment by agents of the state, are also breaking their pledges. True, it’s pretty rare for any female offender to be treated the way male offenders are routinely treated even for the same offending, but there are some women forcefully apprehended and in each case unless we hear the White Fibbers speak up then they are remaining silent and dishonouring their pledge. 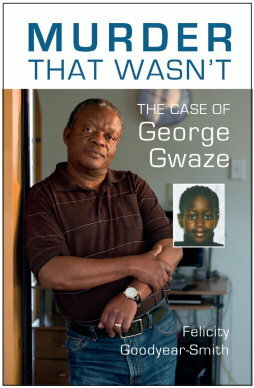 Those with fair and balanced views about interpersonal violence of course know that men are more often the victims of such violence in our society, including domestic violence, and to leave those male victims out of a major, government-funded anti-violence campaign can only be understood as discrimination based on hatred of males. There are NO government-funded campaigns aimed at reducing harm specifically towards the most frequent victims of violence in our society. 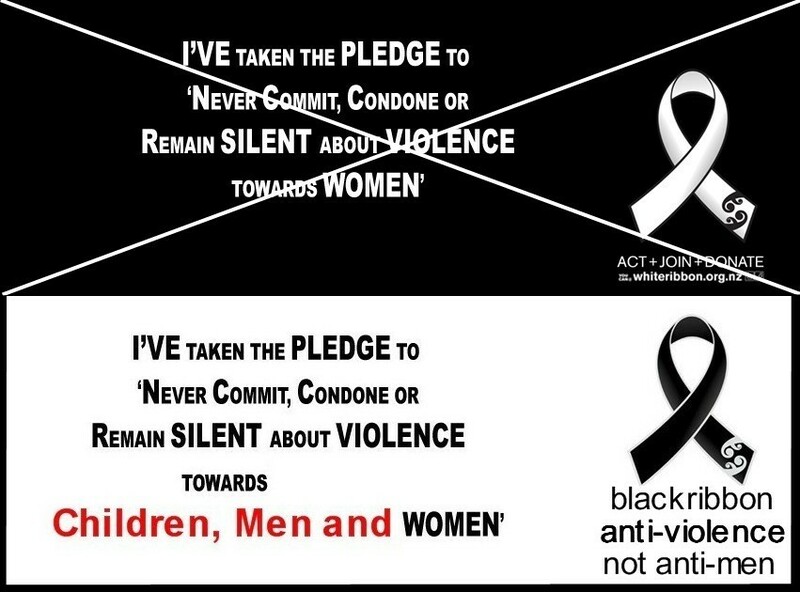 There are two non-government campaigns that are calling to protect men from violence, that get NO funding or support from any of New Zealand’s feminist government departments, and they are both called Black Ribbon Campaigns. Please, every person who values fairness and honesty, support those campaigns and call out the White Fibbers for all the hollow pledges and propaganda in their war against men.